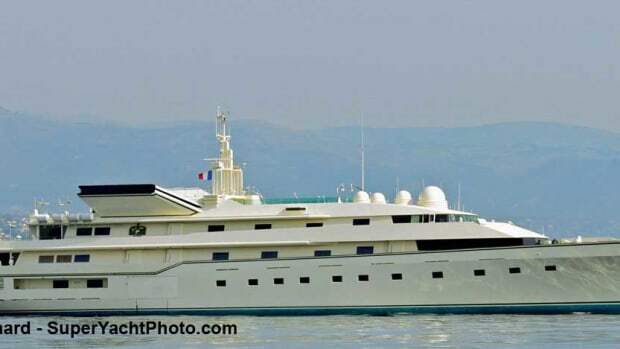 Now under new ownership, this landmark yacht sports a new blue boot stripe and name. 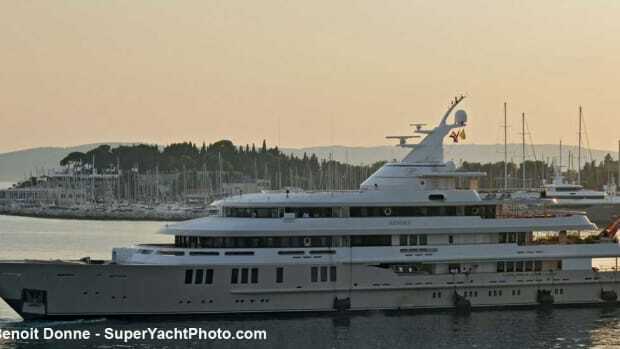 The ex-Princess Mariana, previously owned by a Mexican billionaire who named her after his reputedly stunning wife, was spotted in Fort Lauderdale with a new nameplate after news of her sale became public in May 2011. 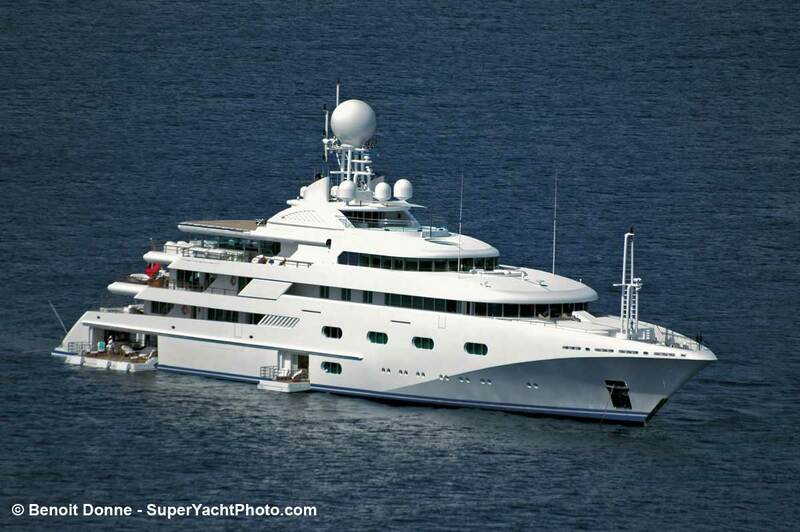 Now under new ownership, this landmark yacht sports a new blue boot stripe and name. 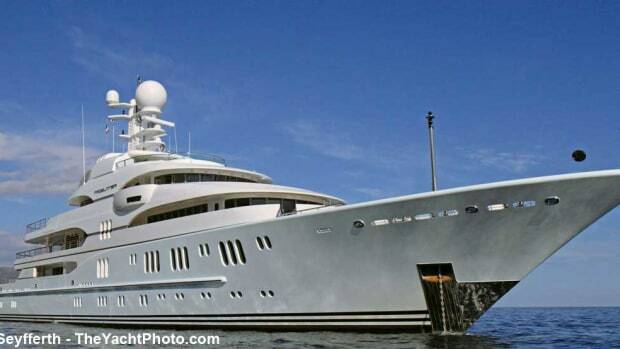 The ex-Princess Mariana, previously owned by a Mexican billionaire who named her after his reputedly stunning wife, was spotted in Fort Lauderdale with a new nameplate after news of her sale became public in May 2011. 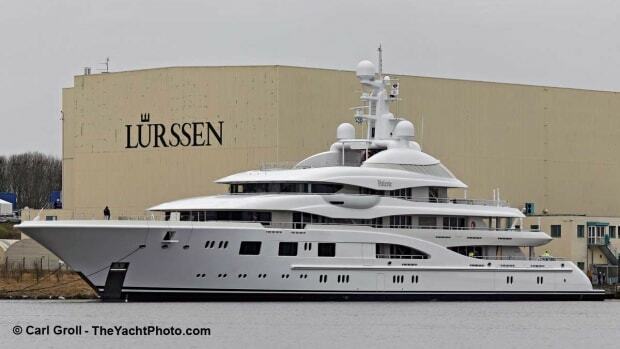 Espen Øino designed the steel displacement hull with bulbous bow and French designer François Zuretti created the original interior. 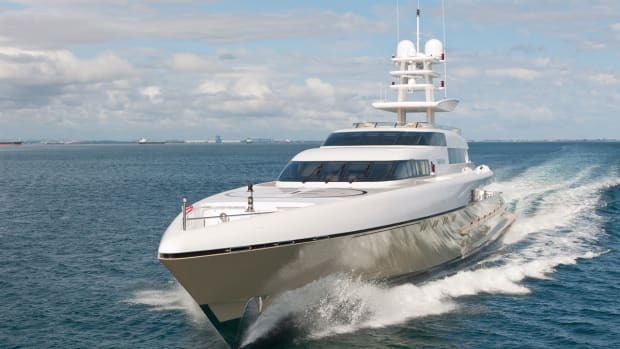 Huge for her length overall, this beamy yacht features six decks; a beach club that serves as a tender garage and can be flooded to become a swimming pool, a helipad that is also a driving range, a disco and a 13-seat cinema. A large Jacuzzi pool is also located on the sun deck. 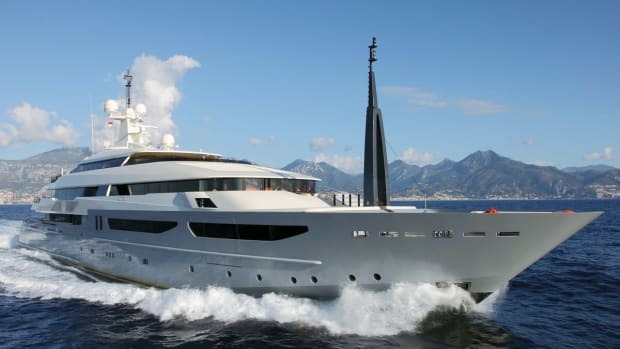 Twin MWM Deutz engines provide a 16-knot top speed but the yacht also has a 7,500-nm range. 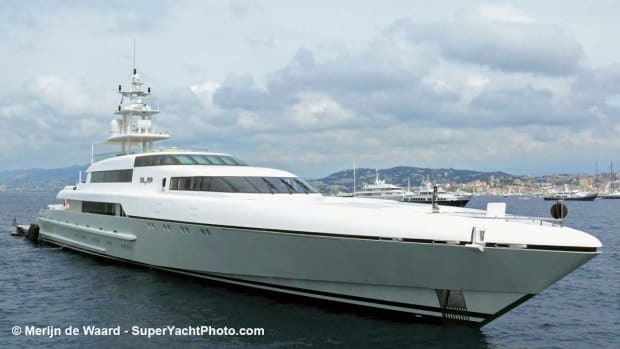 The original designers wanted to showcase the yacht’s inner beauty and allowed guests walking on the main deck to the beach deck and tender garage to peer inside the two-level engine room through a gallery of windows. 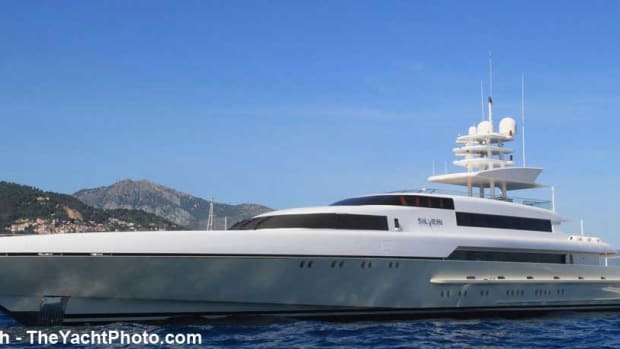 Pegasus V, which received a rejuvenated and colorful interior from her experienced new owner (behind a series of yachts all named Pegasus) is available for charter. 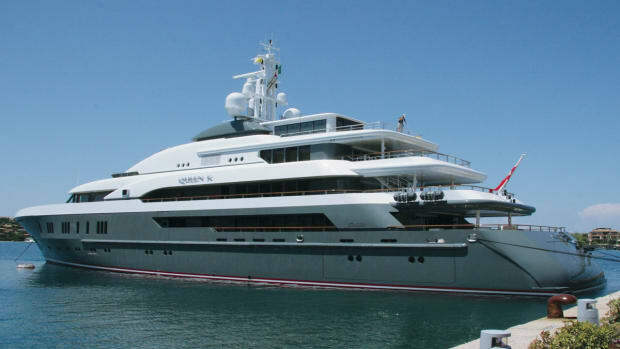 Denison & Daves (denisondaves.com) is the yacht’s central agent for charter. The yacht’s former tender, the stunning 43-knot 115-foot Moon Goddess, built by Danish Yachts, is still for sale.